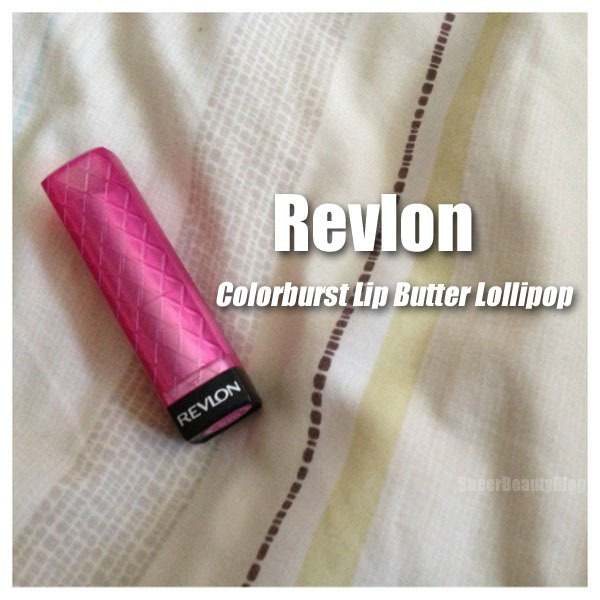 So I finally bought myself another lip butter from Revlon this time I decided to buy Lollipop because I wanted to try a new shade from the collection that I haven't tried before. Oh my gosh these lip butters are so smooth like butter! When you apply it to your lips right away it hydrates your lips. 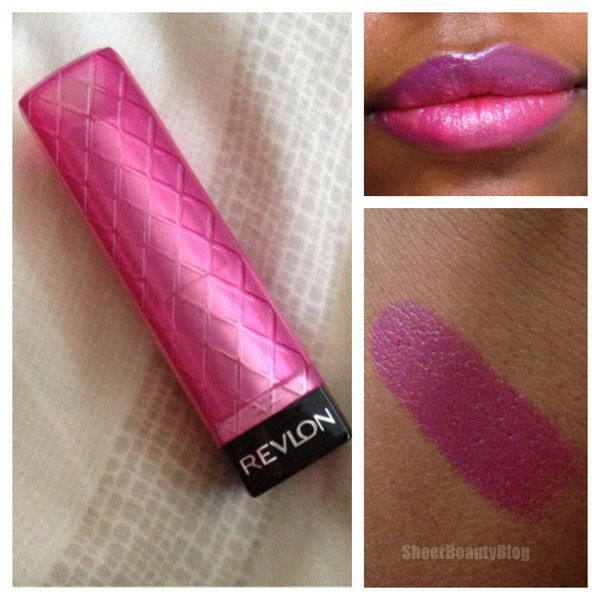 Goes on so smooth I just love Revlon's Lip Butters. The colour of Lollipop is pink in the tube but applied to on my skin it looks pink with a hint of purple there are also sparkles in the lip butter you can't see them in this picture but they are there. The sparkles however are not over powering you really don't even notice them on your lips. Just like other lip butters I have tried this colour is buildable you can apply one coat or build it up to make the colour more vibrant but I have to say this colour is pretty vibrant with just one application. Overall this is another lip butter that I have fallen in love with. What lip butter do you think I should try next? Is there any drug store product you would like to see me review? If you haven't already, you should try Red Velvet and Pink Truffle next from the lip butter collection. And Lollipop looks gorgeous on you.